Posted on February 17, 2013 February 21, 2013 by Vicky LorasPosted in BELTA Belgium, blogging, education, ELTChat, Loras Network, professional development, social media, teaching, webinarTagged BELTA Belgium, education, ELTchat, Facebook, learning, professional development, social media, teaching, technology, Twitter, webinar. 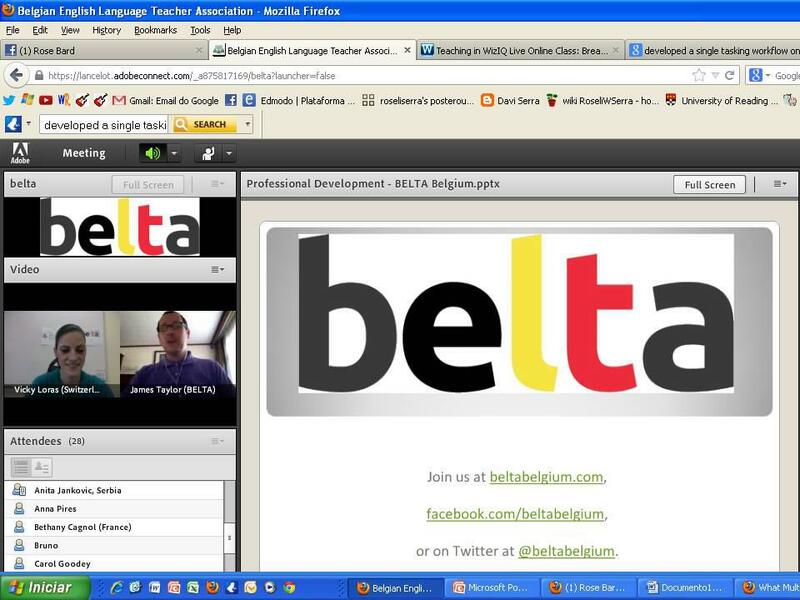 It was an honour for BELTA to have you as our first presenter of the webinars! You did a great job! You shared your views in such an enthusiastic and relaxed way. Your own stories added a personal touch to the professional advice you had for all of us. On behalf of BELTA I would like to thank you for all your support, right from the start, and especially for what you did for us today! We could not have wished for a better start of the BELTA webinars! So thanks again and a big hug from Belgium to Zug! Congratulations to the BELTA Team and to Vicky Loras on today’s great webinar! We are very happy to be the first institutional members of BELTA. It is truly worth it and wish all the best! It was an honour to be in the same virtual room with Vicky and James and Mieke and all the other wonderful people! To see them typing away and giving comments in real time, that was quite an experience. And then Vicky! What can I add that hasn’t already been said. You are an incredible inspiration to so many people, you’re gift to motivate and “whoop” people along is amazing. You make people feel special and worthy and you never run out of good words for everyone. Best of everything to you, dear Vicky! Best to BELTA and I hope to be able to attend one of their seminars or conferences (was it this summer?!) soon! What can I say apart from a huge thank you for all your support, your kind words about all of us and for being such an amazing person and educator! A million thanks!!! So happy you were there and you liked it! Thank you so much Adi, for watching and writing such kind words! It would be a pleasure to do a webinar for the teachers in Indonesia : ))) I would really love to!